Triumph have confirmed yet another new model will be added to their extensive list of new-for-2016 models, in the shape of a new version of their 1050-engined Tiger Sport. The Hinckley firm have already announced a new family of Tiger Explorer models for 2016, as well as an all-new Street Twin, base and R model Thruxtons, T120 Bonnevile, T120 Black, and the new Speed Triple S and R models. 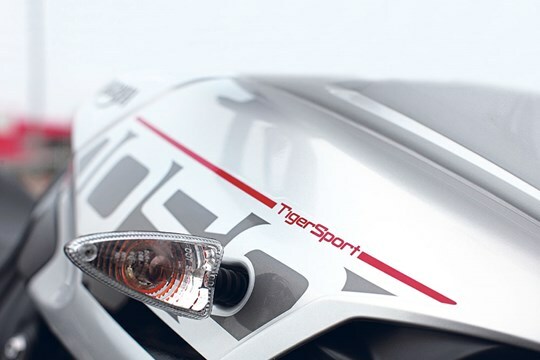 The Tiger Sport will be unveiled in full in next week’s MCN and will also make its world debut in the metal at the Carole Nash MCN London Motorcycle Show at ExCeL from February 12-14. Details are scant on the new Sport, and the only official image is the teaser shown here, but a spokesperson for Triumph told us: “With a huge fan base worldwide, thanks to its great handling, excellent ergonomics and a large load-carrying ability, Triumph have built on these foundations to make the new Tiger Sport better in every way for the motorcyclist who wants a single bike that absolutely does it all.